We are a State licensed and approved inspection company. Your real estate inspectors will look for problems in all areas; signs of possible leaks, inappropriate plumbing materials, and areas that may have sewage backups. 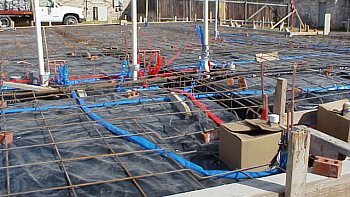 We put the supply and sewer system under extreme conditions to see if the system will perform fully under those conditions. Plumbing under a Jacuzzi tub. Drain line has a crack in it just above the fitting where the line passes into the slab. Has duct tape on it. This would have leaked the first time there was water in the tub. Pre pour inspection of lines and supports to hole lines in place. Some lines where near the surface of the pour had to be repositioned. The Plumber did not have any exterior faucets piping ran. 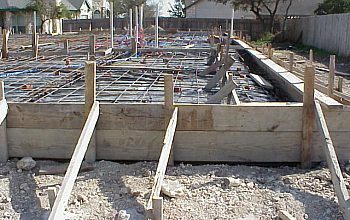 We caught the over site before they poured the slab.